When my grandmother passed away in 2012, I inherited her fabric stash, which was mostly older calicos and other more traditional tiny prints. I knew that my parents were a little disappointed that she never got to making them a quilt, so I made them this quilt from her fabrics. I tried to pull them all together using the dark blue/teal solid to tone down the busy-ness of the calicos. I again used the “Heartstrings” pattern as it is a fun one! 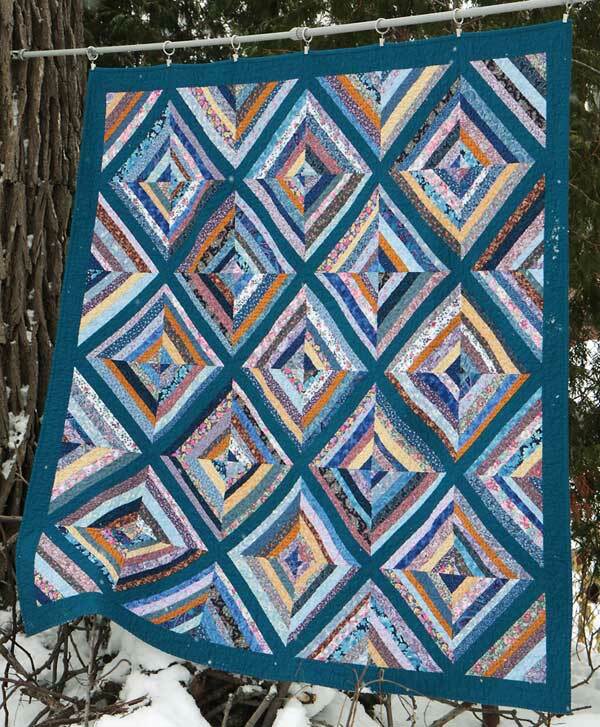 I first learned about Heartstrings quilts at a Minnesota Quilters meeting, where this block is the one they’ve used for years for their charity quilts. The pattern from MQ is here, though I used larger blocks for my quilt. 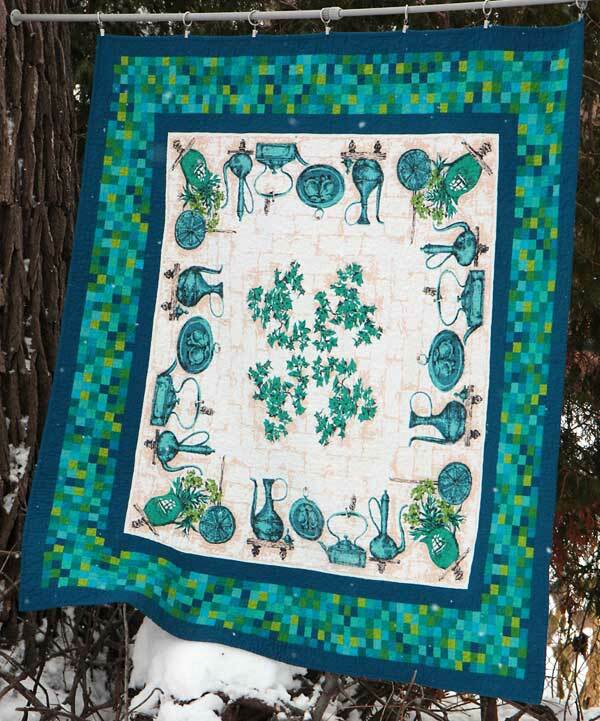 It is a very versatile block as you can throw almost anything into the block and the quilt still looks lovely at the end. And it is perfect for leftover strips, strings, and jellyroll pieces. This is a double-sided quilt: the other side is my Mosaic Tablecloth quilt.